Compare with other luminous poker walkie talkie, 968 marked cards interphone has a new signal reception way. It can receive signal by form of listening phone call. There is a phone cards set on the signal receiver box. When you call this phone numbers by 968 magic playing cards walkie talkie, it would answer automaticly. 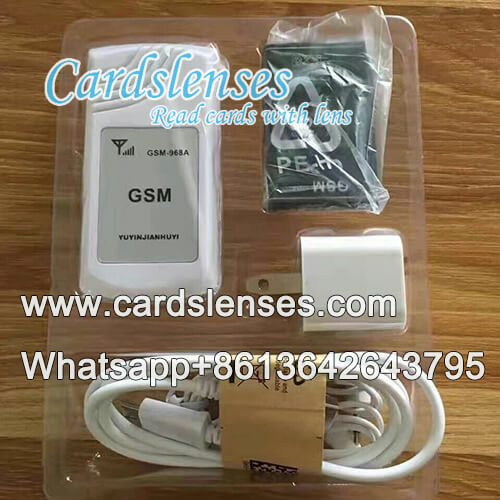 It means that you just need to wear a marked cards spy earpiece, you can get the game results. The big advantage of using phone call to transmit signal is that there is no signal transmit and receive distance limitation.